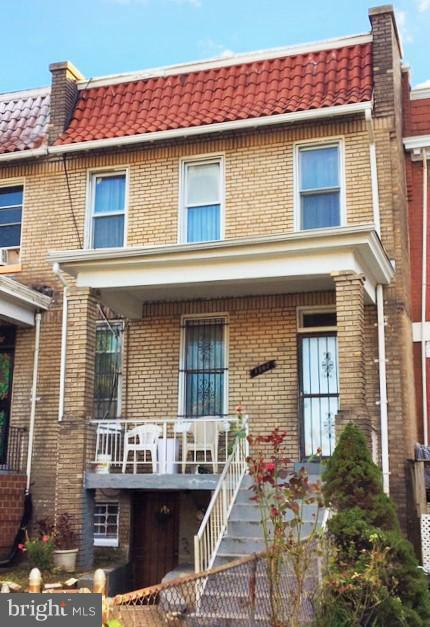 Columbia Heights 3BR/3BA Federal row home with welcoming front porch and rear parking space is available for showings. The beautiful hardwood flooring on first and second floors are true to original design. The bonus finished English basement (with front /back egress) boasts a 2nd kitchen and potential in-law unit or nanny suite. Blocks to (2) metro stations, (2) grocery stores, Target, Bed Bath & Beyond, Best Buy, restaurant & entertainment all within a .06 mile radius. Easy commute District-wide. Walkscore: 92. Directions: North on 14th St. Right on Spring Rd.